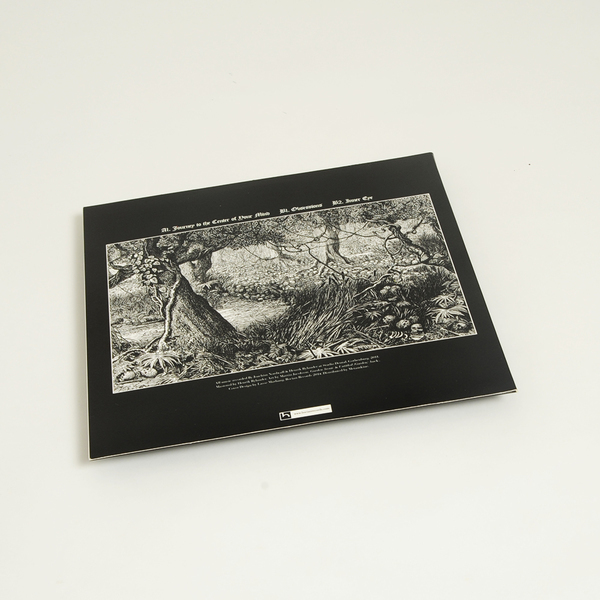 *Joachim Nordwall and Henrik Rylander return with this incredibly heavy drone-noise session under the 'Saturn and the Sun’ moniker* Crushing, celestial sized drone objects from Nordwall and Rylander here, sheathed in absorbing artwork by Martin Jacobsen. 'Journey to the Center of Your Mind' projects three concentrated, irradiating beams of Scandinavian drone noise intensity recorded at Studio Dental, Gothenburg. 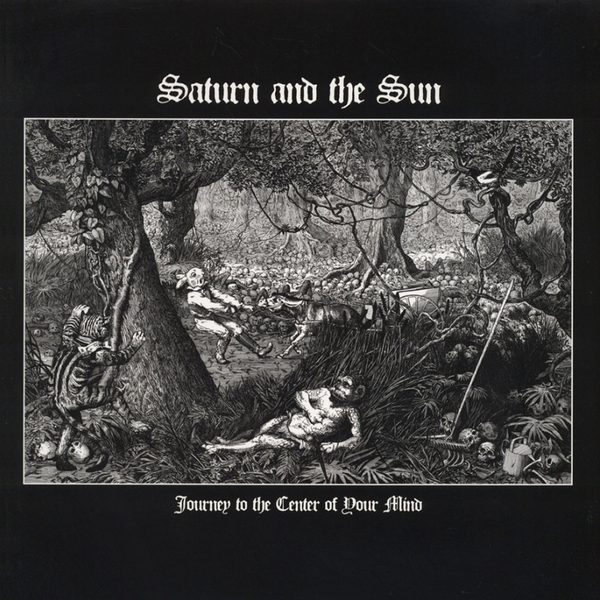 As with the artwork, the music could just as easily be said to describe a regression to some medieval uchronia, or a premonition of post apocalyptic soundscapes, crunching bones underfoot as we trek the great expanse of 'Journey to the Center of Your Mind' engulfed by flaming synthesisers and steadied by entrenched bass drone across the A-side. Turn over and the inferno gives way to desolate, eviscerated electronic extrusions recalling a saltier Alessandro Cortini in 'Obsession', before the final and best piece, 'Inner Eye' swells with eschatological intent to a chokingly dense finale of buzzing, hellishly pregnant synth noise. Heavyweight.